The Information Commissioner has concluded that it is likely that St Mungos passed key information about migrant rough sleepers to Home Office enforcement teams without their permission. This has had very serious detrimental consequences for some St Mungos clients who were subsequently rounded up and deported against their will, sometimes spending extended periods in detention centres. 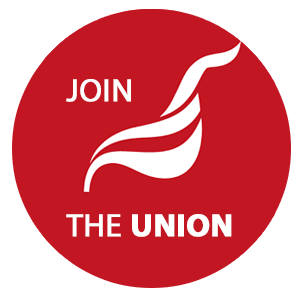 The Unite housing workers branch has campaigned on this issue since the publication of the intial Corporatewatch report in March 2017. Contradicting clearly expressed staff concerns, St Mungo’s senior management has previously denied that it passed on either the locations where rough sleepers bedded down or personal information about them to enforcement teams without consent. The information commissioner found that because St Mungo’s cited a public interest defence there was no breach of data protection rules, but the ethical and professional questions remain. The investigation by the commissioner concentrated on the period before 14 December 2017. On that date the Home Office policy on migrant rough sleepers was halted after the high court ruled it to be unlawful and discriminatory; branch members supported the legal challenge. The government is to pay hundreds of thousands of pounds compensation to some of those identified during such patrols following the ruling. In the year to May 2017, 698 homeless EU nationals were targeted and removed from the UK. St Mungos management were aware that their policy could lead to staff being instructed to carry put actions which were subject to legal action and could be found to be unlawful. The Public Interest Law Unite (PILU), which made the initial complaint to the Information Commissioner, cited internal guidance from St Mungo’s management stating that there were times when there was a public interest defence to sharing information about individual migrant rough sleepers with outside agencies without their consent. The clear implication is that this did not happen as result of errors by staff but because of an explicit policy directive from management. St Mungos management dismissed concerns raised by Unite reps saying that they had pressures from the Daily Mail on the one hand and Unite on the other; presumably a reference to press support for the government’s policy of creating a ‘hostile environment’ for migrants. This bizarre response suggests that they were not considering the ethical or legal issues in a sober manner. In an increasingly commercial homelessness sector, with management keen to follow governments every whim, housing workers are using Unite to speak out in defence of their clients. See Unite LE1111 Housing Workers resolution on rough sleeper immigration raides here.